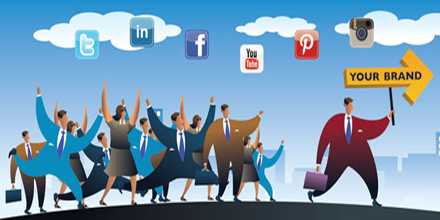 Is Your Brand a Social Standard Bearer? – Kent Huffman: Marketing. Branding. Strategy. Tactics. Results. Brands that lead typically have more success and longevity in the marketplace. Leaders are most often valued and respected for their knowledge, experience, passion, and vision. The most effective leaders also demonstrate a strong sense of responsibility, have a relatively high tolerance for risk, and lead by example. They tend to think strategically, plan for the short and long term, have the innate ability to inspire others, and serve as standard bearers for their organizations and industries. Innovation is another primary hallmark of a strong leader. They not only create new concepts and trends and serve as change agents, they also figure out new ways to generate value for their organizations and constituents and generously and consistently share that value with others around them. And they excel at creating vibrant, growing communities that connect people with their brands—and each other. The most successful social media leaders are no different, whether they are individuals or brands. Did you notice the common threads in the comments from all these marketing and branding professionals? Innovation. Creativity. Imagination. Ideas. Conversations. Community. Today’s social media standard bearers undoubtedly share all those qualities. But why is it so important to be a standard bearer? Whether online or offline, brands that lead and set the standard in their industries are often admired and imitated. Brands that lead are generally viewed as more progressive, innovative, and authoritative. Brands that lead tend to be more profitable in good times and more stable in tough times. Brands that lead usually attract more investors, smarter employees, and stronger partners. Brands that lead tend to have more loyal customers. And brands that lead typically have more success and longevity in the marketplace. That sounds like exactly the place I want my brand to be. What about yours?